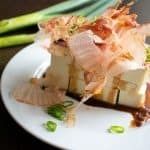 This is 3 of 3 posts written in exchange for a discounted ticket to the Wine Media Conference held in Walla Walla, WA in September 2018. The story starts with Walla Walla. 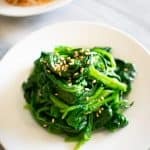 Walla Walla is, of course, the official state vegetable of Washington, but it is also a city and a designated American Viticultural Area (AVA). 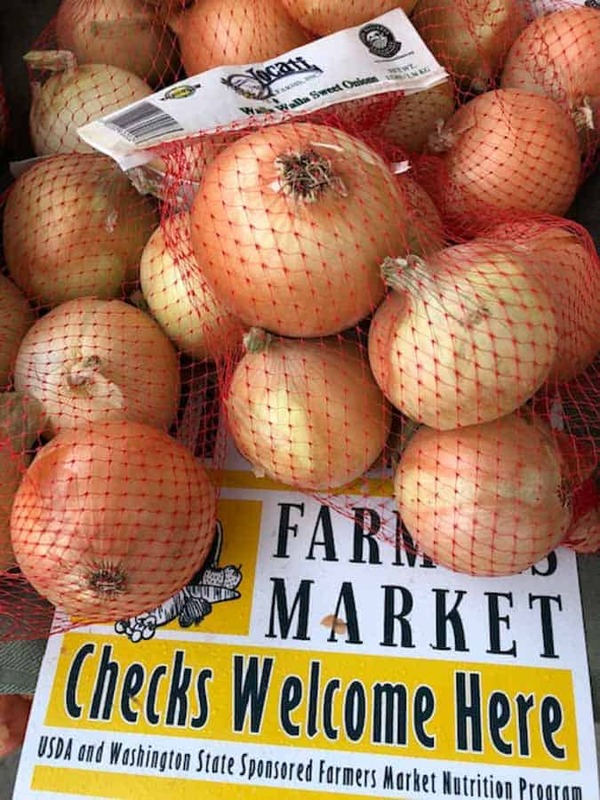 Walla Walla is a sweet onion, similar to other great American sweet onions such as Vidalias from the South and Maui onions from Hawaii. They are grown in Walla Walla County in Washington. Walla Walla is also a city. It’s cute, very clean, and not crowded. It has that small town feel like June Cleaver lives just around the corner. Is Walla Walla the next Napa Valley? Beyond the city limits, Walla Walla is also a wine growing region that stretches into the state of Oregon. Established in February 1984, it is the 2nd oldest AVA in Washington after Yakima Valley (1983) and before Columbia Valley (October 1984). Napa Valley must be the most famed wine growing region in the US, such that competition should follow. 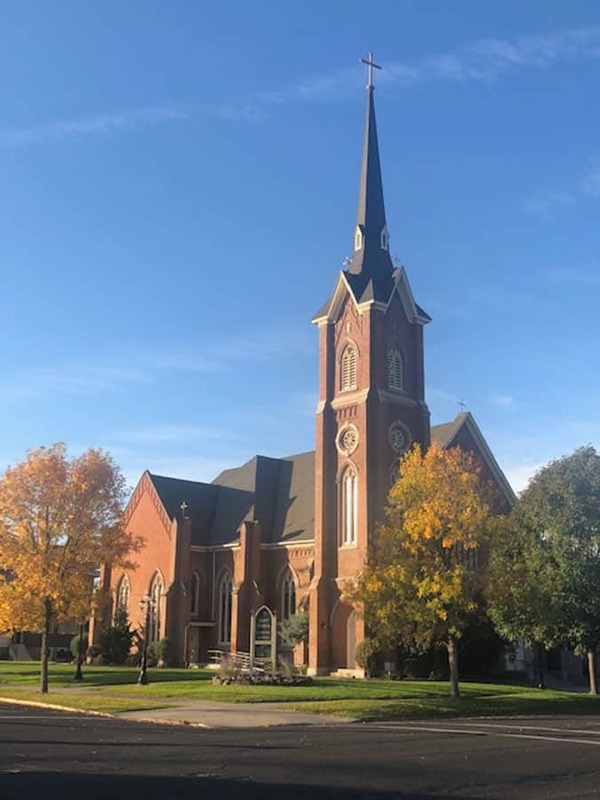 With its quaint, small town feel, with a close knit group of winemakers and top notch food, some say that it is the up and coming wine town to watch. Wholly within Walla Walla is a sub-AVA known as The Rocks District of Milton-Freewater. Established in February 2015, it is a recent designation. That is where the bacon magic happens. It has 120 wineries in Walla Walla, the highest concentration of wineries in Washington state. 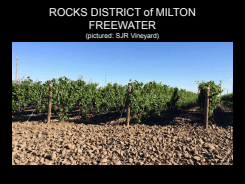 Located within the Walla Walla AVA is the Rocks District of Milton-Freewater, at just 314 acres. Dr. Kevin Pogue and Steve Robertson of Delmas Wines pioneered the establishment of this AVA in 2015. 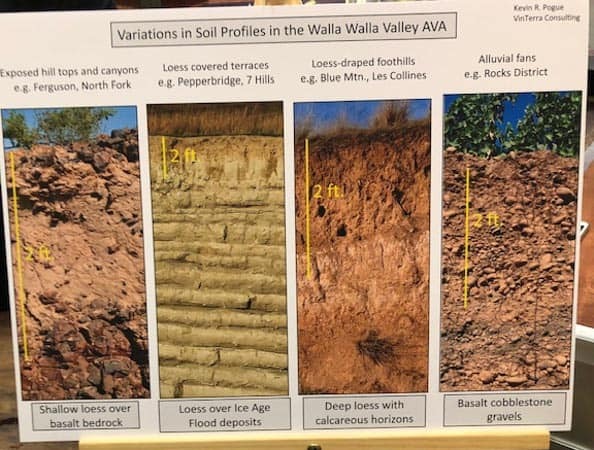 It is the only AVA in the US whose boundaries have been determined by 1) a single soil series (Freewater series) and 2) a single land form (alluvial fan). The land was originally homesteaded by Italian immigrants in the 1800s who raised 9-10 kids in small corrugated board houses that have now become one of the most distinctive grape growing regions in the US. 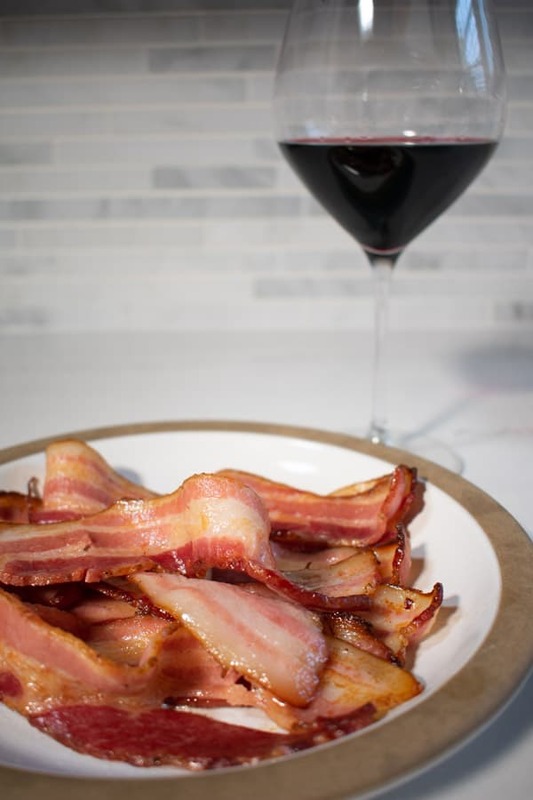 Where does the wine that tastes like bacon fat come from? We’ve established that it is in the Walla Walla wine growing region in Washington, an area that crosses states lines into Oregon. 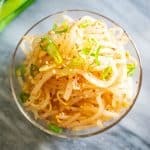 This Walla Walla AVA is distinct from the similarly named city and sweet onion. Within the Walla Walla AVA is the sub-AVA known as the Rocks District of Milton-Freewater. Its distinguishing feature is its soil, composed primarily of dark colored basalt cobblestones. Syrah is very well-suited to this AVA. Many wine experts believe Syrah expresses terroir, the taste imparted to the wine via the environment, better than Pinot Noir. Syrah from the Rocks District is more juicy and thin-skinned than syrah grown in other parts of Washington. The result is creamy, bacon fat all around goodness. 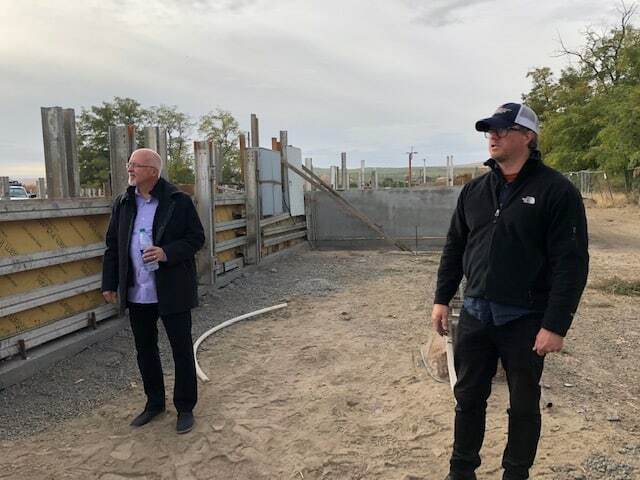 Founder Paul McBride and winemaker Todd Alexander at the future site of the Force Majeure tasting room in the Rocks District of Milton Freewater. One winery that has decided to invest in the Rocks District is Force Majeure. They are a premium winemaker in Washington with 70% of direct to consumer sales. They largely sell out of their wines every year as a testament to how desirable their wines are. Founded in 2004, their focus is the expression of Rhone and Bordeaux varietals in the distinct terroirs found in Washington AVAs. In 2014, Todd Alexander left the Bryant Family Vineyard in Napa Valley to lend his expertise as their new winemaker. Force Majeure will have a soon to be open to the public tasting room located in the Rocks District itself, where they also own a vineyard. They planted in the north end of the district that has deep, loamy soils over stones. The southern end, in contrast, is comprised mostly of cobblestones. While they make a 2016 Estate Syrah from the Red Mountain AVA, they also have a 2016 SJR Vineyard Syrah from the Rocks District. That one is full of bacon fat, umami, blue and black fruit, dried herbs, smoked ham, and black olive tapenade. It is soft and creamy with a well-balanced combination of fruit, acidity, and savoriness. 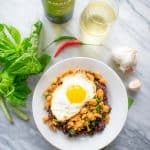 While Syrah from the Rocks District AVA will generally have the bacon fat characteristic, it regrettably does not actually pair well with bacon. 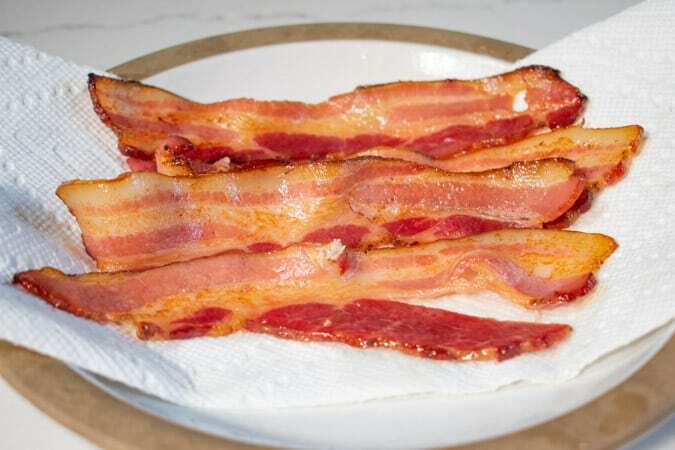 Bacon, or any other salami, lardo, fatty pork, has too much fat that coats the palate. Since Syrah from the Rocks also has quite a bit of acid, the acid overly shines through to its bitter detriment. 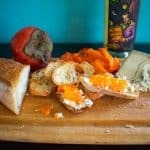 Instead of matching the fatty quality in the meat, the wine is better suited to being matched with equally acidic foods such as olives cured with dried herbs, marinated mushrooms, or even just chips and salsa. In addition to Force Majeure, there are more than 20 wineries that feature wine from this distinct terroir and AVA. However, since the AVA designation is relatively new, it may take some time for the name of the AVA to actually appear on labels. Nevertheless, it is time to buy syrah from the Rocks AVA ASAP. It might be a bit hard to find outside Washington but not impossible. Do you love bacon? Please spread the Asian ♥ and share!